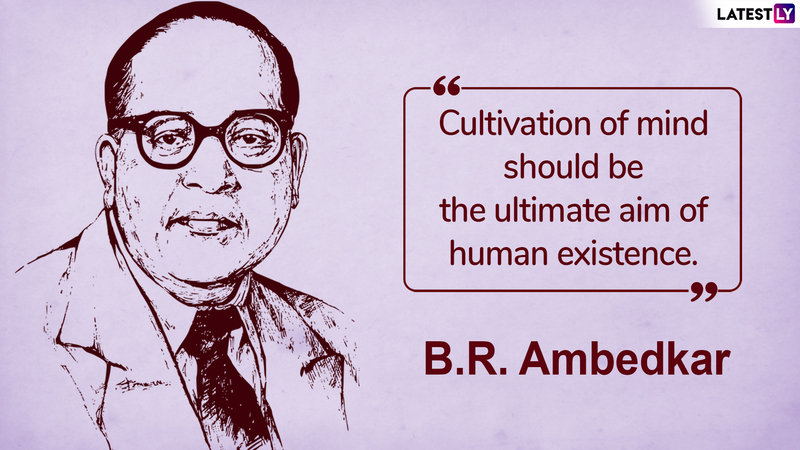 Ambedkar Jayanti marks the birth anniversary of Bhimrao Ramji Ambedkar, the chief architect of the Indian Constitution. 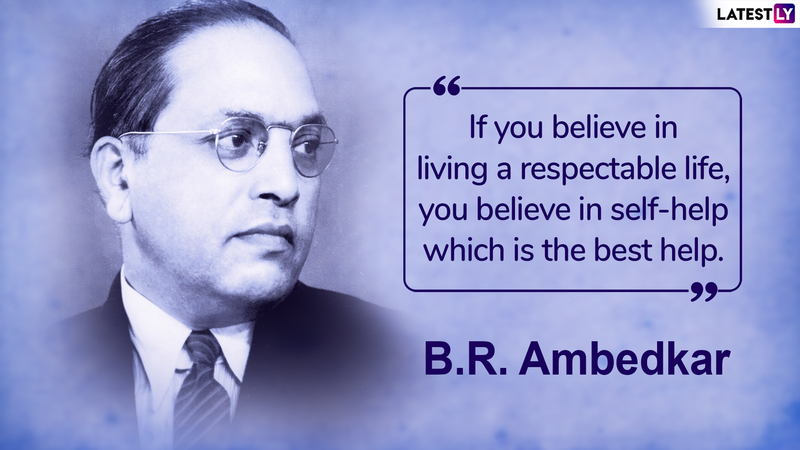 Born on April 14, 1891, he is popularly known as Dr Babasaheb Ambedkar or BR Ambedkar. Various events and workshops are held on Bhim Jayanti remembering the works of the social reformer. 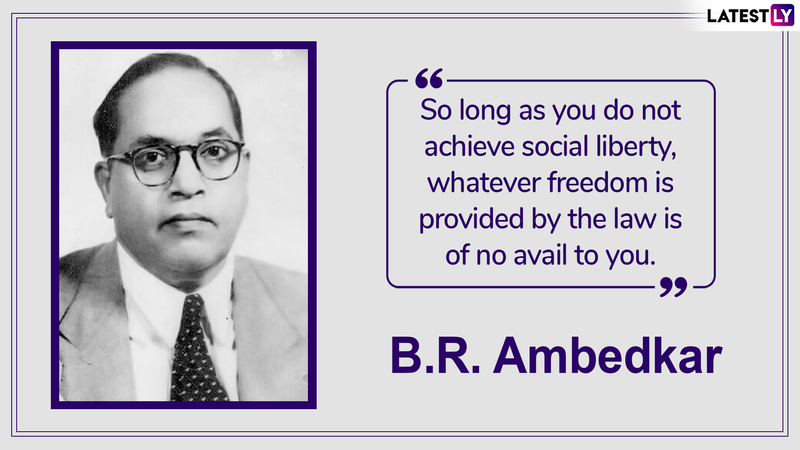 Ambedkar led the Dalit Buddhist Movement in India and strongly campaigned against social discrimination and untouchability making him a Dalit icon. 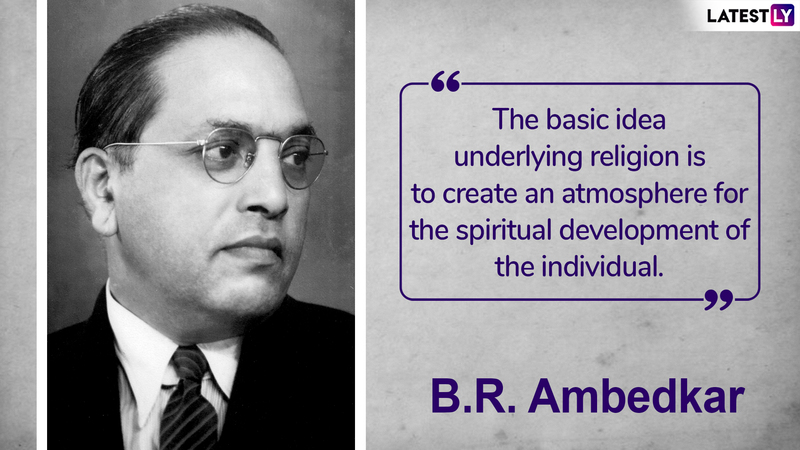 Ambedkar who drafted the constitution is rightly known as the father of the Indian Constitution. He embraced Buddhism on October 14, 1956. On his 128th birth anniversary, we take a look at some of his popular quotes and saying which continue to inspire people even today. 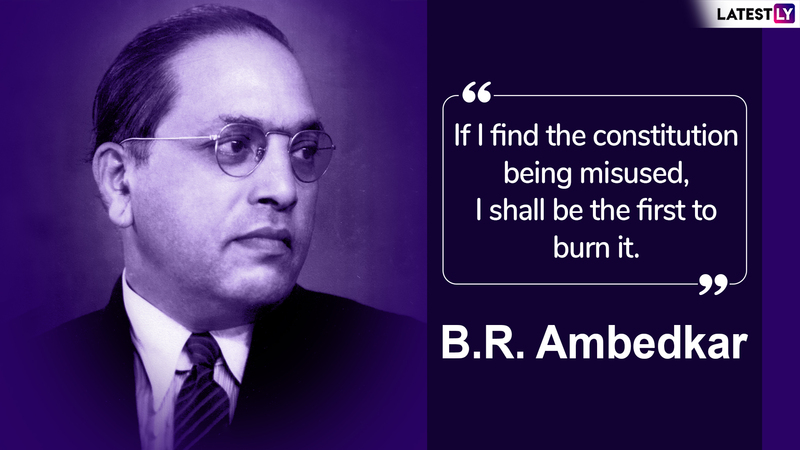 Ambedkar Jayanti 2019: Date, Significance of Bhim Jayanti That Marks Dr Babasaheb Ambedkar's Birthday. Born to Ramji Maloji Sakpal and Bhimabai Murbadkar Sakpal in Madhya Pradesh's Mhow, Ambedkar came from humble beginnings and went on to become one of India's greatest leaders. A supporter of labour and women's rights, the man earned the title 'Babasaheb' for this selfless work towards the community. 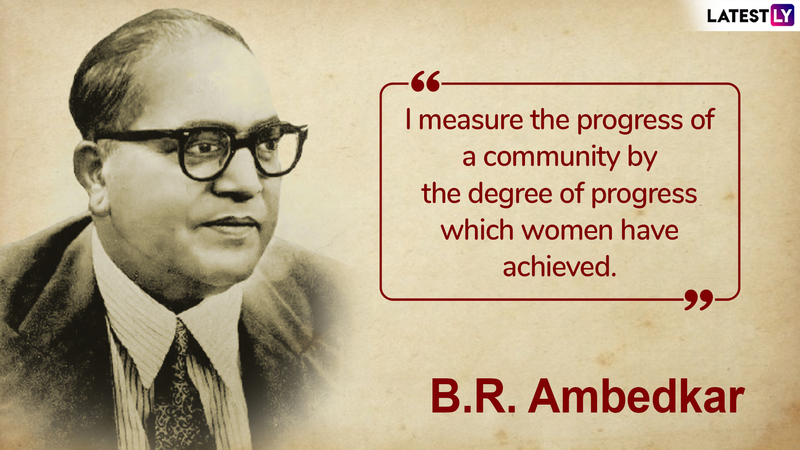 One of the popular quotes by Dr Ambedkar that talks volumes of knowledge, "I measure the progress of a community by the degree of progress which women have achieved." The basic idea underlying religion is to create an atmosphere for the spiritual development of the individual. 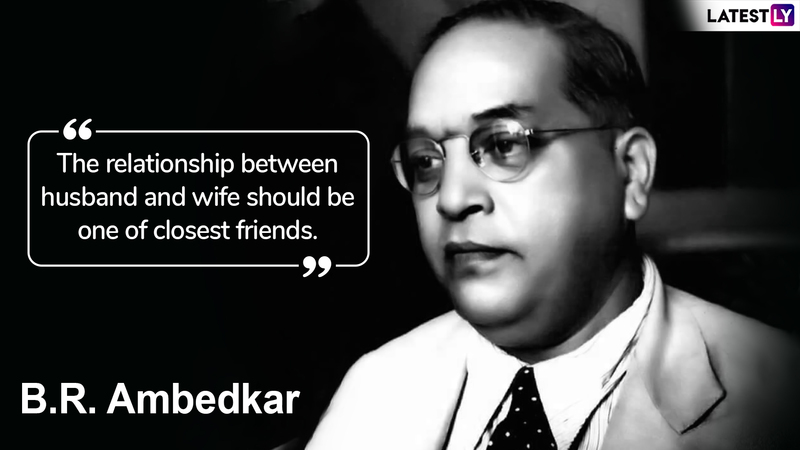 Ambedkar was also a jurist, politician and social reformer. He studied at University of Mumbai, Columbia University and London School of Economics. He was the first Indian to receive a doctorate in Economics abroad. He took his passed away on December 6, 1956, in New Delhi where he was accorded a Buddhist cremation. He was posthumously conferred with Bharat Ratna, India's highest civilian award in 1990. On Ambedkar Jayanti, it is customary for the President, Prime Minister and leaders of major political parties, to pay homage at the statue of Ambedkar at the Parliament.